The Commission for Research Integrity constitutes an independent body of the association Austrian Agency for Research Integrity (OeAWI). It deals with cases of (alleged) research misconduct connected to an Austrian institution or to a researcher working in Austria. One of the Commission’s most important principles is confidentiality in protecting both the complainants’ and the accused persons’ identities. It is central to the work of the Commission that its independence is preserved as guaranteed in the statutes. The Commission’s members, who are researchers from different fields of expertise, are non-Austrian citizens to guarantee independence from the Austrian research system. Only the member with expertise in Austrian law may be affiliated with an Austrian research institution; this member does not have any voting rights. Unrestricted objectivity is an essential institutional provision to guarantee that allegations of research misconduct can be evaluated in a neutral and fair way. Who can initiate an inquiry? How are inquiries to be initiated? When other procedures (e.g. civil, criminal or disciplinary procedures) have been initiated in connection with the case in question, the Commission may decide to suspend the case at any stage of the procedure. The Commission’s opinion is to be conveyed to the person or institution affected. It is up to the institution concerned to take further measures and apply sanctions. Gerd Müller obtained his PhD in Mineralogy/Crystallography at the TH Karlsruhe. He then spent 13 years in industrial positions with Schott AG, the last three years as President of a subsidiary in the USA. He then became Professor at the TH Darmstadt and later at the University of Würzburg, where he simultaneously held the position of Director of the Fraunhofer Institute for Silicate Research and, temporarily, also of the Fraunhofer Institute for Structural Durability in Darmstadt. 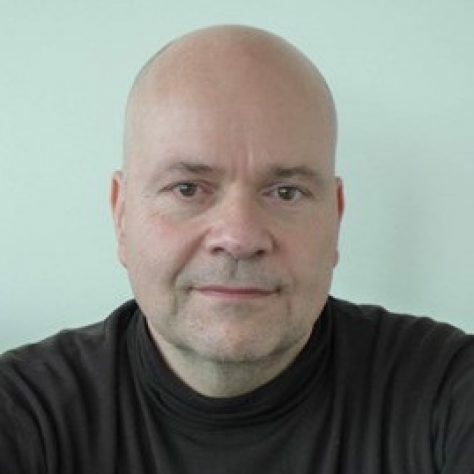 He was also a member of the Presidium of the Fraunhofer Gesellschaft and member of the Collegium Materials Science of the Deutsche Forschungsgemeinschaft. Gerd Müller retired in 2006. Since 2007 he is a member of the Comité Carnot of the Agence Nationale de la Recherche, Paris, and since 2012 of the Conseil d’Administration and the Comité Scientifique of the Fondation de la Maison de la Chimie, Paris. Beatrice Beck Schimmer received her MD degree from the University of Bern in 1988, and got board-certified in Anesthesiology in 1996. Upon return from a postdoctoral research fellowship from 1994 to 1996 at the Department of Immunopathology at the University of Michigan, Ann Arbor (MI, USA), she built up her own research group at the Institute of Physiology, University of Zurich, and the Institute of Anesthesiology, University Hospital Zurich, with focus on basic, translational and clinical research in the field of anesthesiology and critical care medicine. In 2009, she became Professor of Anesthesiology at the University of Zurich. Her main research interest is perioperative organ protection, thereby exploring the potential beneficial effect of volatile anesthetics in the perioperative phase. Another main topic is nanomedicine evaluating nanomagnets for extracorporeal blood purification systems. She has published more than 100 original articles, mainly as first or last author. 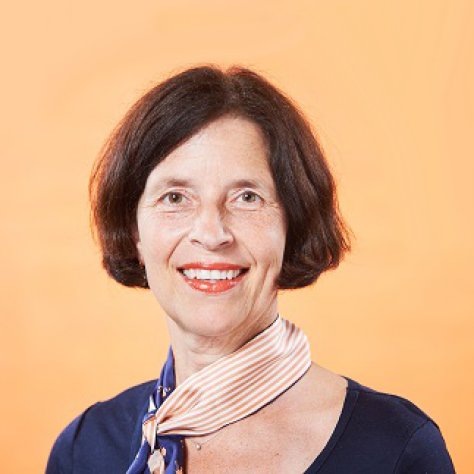 Furthermore, she was very active as Vice-Dean Academic Career Development and Equal Opportunities at the Faculty of Medicine Zurich as well as research councilor at the Swiss National Science Foundation (SNSF). Her final goal was to promote young talented researchers to become independent at an early stage. Since April 2018, she is the elected Director Academic Medicine at the University of Zurich, starting in August 2018. In this newly established position, she will be responsible for expansion of the medical research and teaching network between the University of Zurich, the four university hospitals in Zurich as well as the technical university ETH in Zurich. Andreas Diekmann is Professor em. of Sociology at the ETH Zurich (2003 – 2016) and a Fellow of the Institute for Advanced Study Berlin (2017 – 2018). He earned a doctoral degree from the University of Hamburg in 1979 (Dr. rer. pol. ), and received the “venia legendi” (Dr. rer. pol. habil.) from the University of Munich (1987). 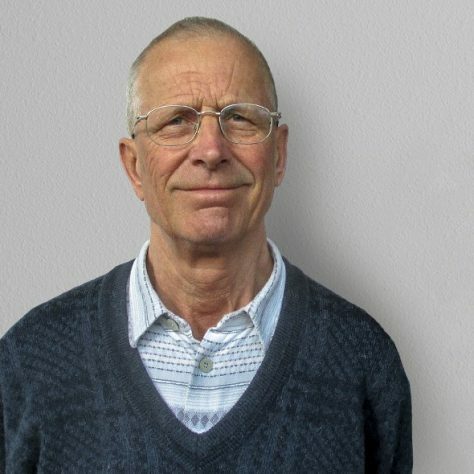 His areas of research are social cooperation and experimental game theory, environmental and population sociology, and methods of empirical social research. He served as a member of the Humboldt professor price committee and is chairman and senator of the section “Economics and Empirical Social Sciences” of the German Academy of Sciences Leopoldina. 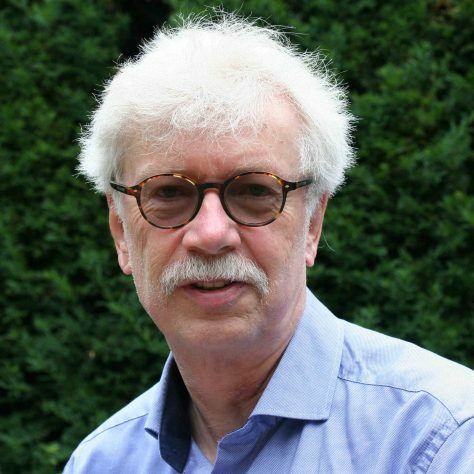 He is also a fellow of the European Academy of Sociology and co-editor and board member of several professional journals and research institutions. Present research activities focus on experimental research on social norms and energy consumption, an analysis of the environmental burden of metropolitan areas with geo-referenced panel data (supported by grants of the Swiss National Science Foundation) and experimental research on reputation formation and social cooperation. Michael Hagner studied medicine and philosophy at the Free University Berlin. After obtaining his medical degree, he worked as a neuroscientist and shifted to the history of science in 1989. He spent some years in London, Lübeck and Göttingen and moved to the Max Planck Institute for the History of Science in 1995. Since 2003, he has been Professor of Science Studies at the ETH Zürich. In 2008 he was awarded the Sigmund Freud Preis für Wissenschaftliche Prosa of the Deutsche Akademie für Sprache und Dichtung. Selected publications: Homo cerebralis. Der Wandel vom Seelenorgan zum Gehirn. Berlin 1997; Geniale Gehirne. Zur Geschichte der Elitegehirnforschung. Göttingen 2004; Der Geist bei der Arbeit. Historische Untersuchungen zur Hirnforschung. Göttingen 2006; Der Hauslehrer. Sexualität, Kriminalität und Medien um 1900. Berlin 2010; Zur Sache des Buches. Göttingen 2015; Analphabeten. Berlin 2019. Ausgewählte Publikationen: Homo cerebralis. Der Wandel vom Seelenorgan zum Gehirn. Berlin 1997; Geniale Gehirne. Zur Geschichte der Elitegehirnforschung. Göttingen 2004; Der Geist bei der Arbeit. Historische Untersuchungen zur Hirnforschung. Göttingen 2006; Der Hauslehrer. Sexualität, Kriminalität und Medien um 1900. Berlin 2010; Zur Sache des Buches. Göttingen 2015; Analphabeten. Berlin 2019. Kerstin Schneider holds a PhD in economics and worked as an assistant professor (Wissenschaftliche Assistentin) at the TU Dortmund, where she also completed her Habilitation. 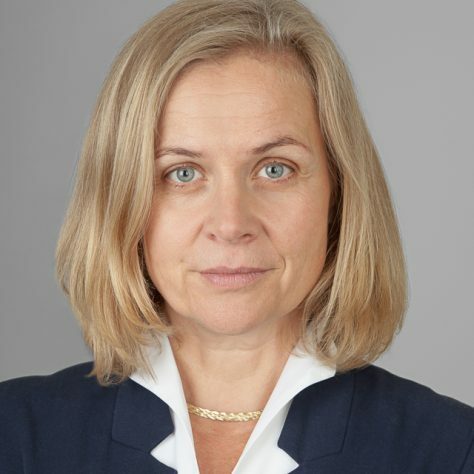 Since 2004 she is a chaired professor for public economics and business taxation at the Bergische Universität Wuppertal and research fellow of CESifo. Since 2014 she also heads the WIB (Wuppertal Research Institute for the Economics of Education), a research institute at the Universität Wuppertal which is active in interdisciplinary research and policy consulting. Her research focuses on education economics and taxation. She serves on the scientific advisory boards of the Leibniz Research Institutes DIW (Berlin), RWI (Essen) and LIfBi (Bamberg). From 2013-2018 she was a member of the Ethics Committee of the Verein für Socialpolitik. She joined the OeAWI in 2018. Elisabeth Staudegger holds a PhD in IT-Law and Legal Informatics, Civil Law and Intellectual Property Law. 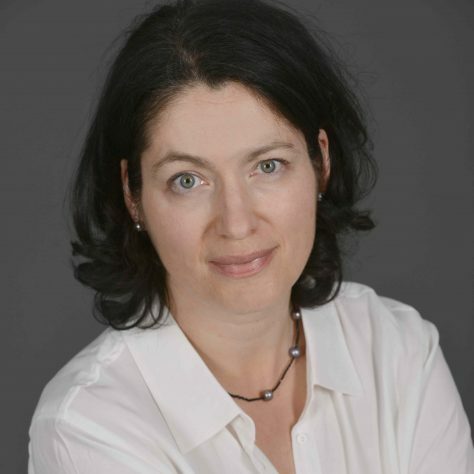 She is professor at the Law Faculty of Graz University (since 2011) and head of the Section „Law and IT“ at the Institute of the Foundations of the Law (since 2016). 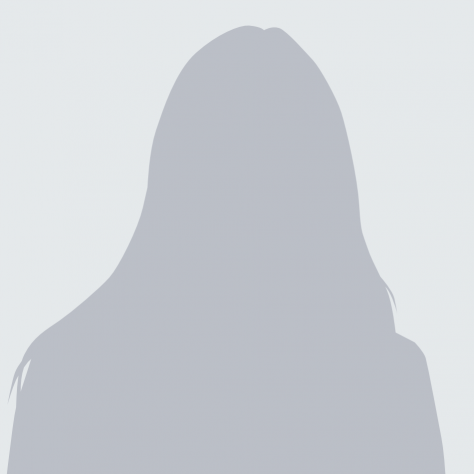 She is founding member and has been member of the scientific advisory board of the Academy for New Media and Knowledge Transfer (2006 until the end of 2017). She was a member of the Ethics Committee of the Medical University of Graz (2014-2016). Today she is speaker of the supra-faculty elective specialization certificate „Digital Humanities (since 2012) and head of the interdisciplinary research network „Human Factor in Digital Transformation“ (since 2017). Currently she is internal manager of the Horizon 2020 project TRUESSEC.eu“ (2017/2018). With respect to publication activities Elisabeth Staudegger is founding member and co-editor of the jusIT, Journal for IT-Law, Data Protection and Legal Information (LexisNexis; since 2008) and the Austrian Law Journal (ALJ; since 2014) as well as of the course book on IT Law (since 2000, 4th edition in progress; Springer/Verlag Österreich) and the Yearbook on Intellectual Property (since 2012; NWV). The Commission for Research Integrity is an organ of the association Austrian Agency for Research Integrity. The Commission shall conduct activities for association members and advise them in all matters related to research integrity, in particular, in cases of suspected research misconduct. procedural principles and processes of the Commission for Research Integrity. The Rules also provide information that helps to determine issues of responsibility and procedural steps of a given investigation. The Commission for Research Integrity is an organ of the Association known as the “Austrian Agency for Research Integrity”. The Commission investigates allegations of research misconduct having a connection to researchers or research institutions with relation to the Austrian research system. The Rules of Procedure regulate the general procedural principles and the investigation procedures of the Commission for Research Integrity in addition to the Statutes. 1.1 The Commission shall be convened at least twice a year. The Chairperson may announce a Commission meeting along with the accompanying agenda at least two weeks in advance in writing or electronically at any time. Equally, the Chairperson of the Commission is to convene a Commission meeting without delay if a member of the Commission submits a request for such a meeting along with a draft agenda. 1.2 At least half of the voting members of the Commission must attend the meeting in person in order to constitute a quorum. An electronic participation is only possible in exceptional and justified cases. 1.3 Resolutions shall be taken by a simple majority of votes. Votes may be assigned to another member of the Commission. Where voting results in a tie, the Chairperson of the Commission shall have the casting vote. 1.4 If necessary, the Commission may also make decisions in the form of circular resolutions. Such motions are to be sent by the Chair to all members of the Commission in writing or electronically along with a deadline of at least ten calendar days for responses. The quorum requirements apply as defined in Section 1.3. However, a resolution shall not be considered approved in cases where one or more Commission members request a discussion of the motion at the next meeting. 1.5 If an allegation constitutes a Conflict of Interest for a member of the Commission, the member must not participate in the consultation and investigation of this issue. A Conflict of Interest must be declared to the Chair of the Commission immediately. In case of doubt the Commission shall decide. 1.6 The identification of research misconduct as a violation of the rules of good scientific practice shall be based on the Guidelines for Good Scientific Practice (Annex I). 1.7 The procedures of the Commission shall not be public; the Commission may allow persons involved inspection into the documents as long as the purpose of the investigation is not at risk. 1.8 In order to protect the persons involved confidentiality is to be maintained by all persons involved in the investigation. The Commission emphasises the duty of confidentiality to all persons and institutions involved in the investigation. 1.9 The results of meetings are to be recorded in the minutes and certified by the Chair. 1.10 The results of Commission investigations are to be conveyed to the persons involved. 2.1 The Commission shall begin all activities with an examination of whether the case falls within the scope of the Commission’s material and geographical competence. 2.2 The Commission is materially competent in cases where, on the basis of the available evidence, the suspicion of research misconduct appears sufficiently justified in accordance with the criteria listed in the Guidelines for Good Scientific Practice (Annex I). Other forms of misconduct in connection with research work, especially mobbing and sexual harassment, do not constitute grounds for the material competence of the Commission. 2.3 The Commission is geographically competent when a case exhibits a strong connection to an institution with relation to the Austrian research system or to a researcher working in Austria. 2.4 If a procedure regarding the alleged misconduct is pending with another affected institution, the Commission may refuse or discontinue the handling of the case. 2.5. The Commission may also refuse to handle allegations in case where the alleged misconduct lies more than ten years in the past. Suspension of the case, for example until a procedure previously initiated by another institution has been completed. The persons to which a report refers shall be informed of the resolutions listed above after a review and assessment by the Commission. Moreover, the Chairperson of the Austrian Agency for Research Integrity is to be informed of resolutions upon request. The Chairperson shall be obliged to maintain confidentiality in this regard. 2.7. The Commission is generally obliged to inform all affected full members of the Agency for Research Integrity about resolutions pursuant to Section 2.6. without delay. In justified exceptional cases, however, in order to protect the persons involved the Commission may decide to fulfil its obligations to inform members at a later point in time. In such cases, the Commission must weigh the legitimate interests of the member in question against the legitimate interests of the other parties involved. 3.1 With the support of the administrative office, the Commission member leading the investigation shall first obtain opinions and statements from the persons to whom an allegation refers. If necessary, the Commission may also request additional documentation. 3.2 If a sufficient assessment of the facts is not possible on the basis of the materials submitted, the Commission may hold a hearing with the parties involved and obtain expert opinions from specialists in the relevant field. 3.3 At the suggestion of the Commission member leading the investigation, the Commission may, in justified cases, initiate a procedure for resolving conflicts with the support of a mediator. In cases where a thorough assessment of the facts is not possible on the basis of the information obtained, the Commission member leading the investigation may, in concert with the other Commission members, appoint experts for the specific subject area in question to investigate the allegations in greater depth. 3.4 Persons involved in the investigation procedures must inform the Commission when other procedures (e.g. civil, criminal or disciplinary procedures) have been initiated in connection with the case to be investigated. Regarding such procedures, the Commission may resolve to suspend the case at any stage of the procedure. 4.1 Upon completion of the investigation according to Section 3, the Commission member leading the investigation shall immediately compose a final statement which contains an assessment of the results of the investigation. This opinion is to be presented to the other Commission members for approval with a deadline of ten days. 4.2 In case a member of the Commission requests the issue to be discussed in a meeting, the statement must be discussed, amended/supplemented as necessary and resolved at the next scheduled meeting of the Commission. Where required, recommendations about measures beyond the concrete case. 4.4 If, in its deliberations, the Commission comes to the conclusion that further investigations would be required in order to come to a final assessment of a case, then the corresponding resolution must also include a description of the additional investigations required as well as a reasonable time period within which the results must be available. 4.5 The Commission’s opinion is to be conveyed in any case to the person who or institution which called upon the Commission if that person or institution is directly affected by the allegations submitted, and to the person(s) to whom the allegations referred. When the investigation is closed, the Commission informs the Chair of the Board about the outcome of the investigation. 4.6 In all cases, opinions on severe cases of research misconduct must also be conveyed to the institution(s) where the misconduct was said to have taken place if the institution or institutions in question belong to the Austrian Agency for Research Integrity. 4.7 The submission of the opinion in accordance with Section 4.6 shall mark the end of the Commission’s procedure. The quality of research is a precious asset for every society. Social progress, economic value creation, social living conditions and fairness between generations in shaping the future would all be unimaginable without reliable scientific and scholarly knowledge. contribution to effective self-governance in the Austrian science and research system. to science and research, the principles of research ethics and the Standards of Good Scientific Practice all contribute equally to ensuring a high degree of integrity in research and scholarship. on research integrity, as the international orientation of science and research also has an impact on its standards of integrity. (1) Scientific research refers to work which is committed to the Standards of Good Scien- tific Practice and aims to generate new knowledge. All persons involved in research are obliged to adhere to the principles of integrity in research and scholarship. In particular, this form of integrity involves transparent and sincere communication with other scientists and researchers as well as between scientists/researchers and those who commission their research projects; high reliability in the execution of joint research efforts; impartial judgment and internal independence; a willingness to subject oneself to professional cri- ticism and to respond to such criticism with reasoned argumentation; and the responsible and fair treatment of junior scientists/researchers in particular. Research integrity also in- cludes sincere, comprehensible and transparent communication with the general public in a way that appropriately reflects the complexity of scientific research. (2) All persons involved in research are to observe the Standards of Good Scientific Practice applicable to their respective fields, to investigate and settle any doubts as to the applicable standards, to avoid research misconduct and to immediately remedy any misconduct detected. (3) The organisations that conduct scientific and scholarly research as well as the indi- vidual organisational units in which research is conducted (e.g. university/non-university departments and institutes, research teams, centres), are to ensure that the Standards of Good Scientific Practice are communicated consistently, drawing special attention to the risks of research misconduct. The persons responsible for managing research organisa- tions and organisational units are to take suitable and reasonable organisational mea- sures to ensure that the responsibilities for communicating and enforcing the Standards of Good Scientific Practice, including the resolution of any doubts, are unambiguously defined in writing, communicated and then actually observed; this also includes the clear assignment of supervisory duties. The persons responsible for managing the above-men- tioned organisations and units are to ensure the availability of infrastructure that enables adherence to the Standards of Good Scientific Practice; this applies in particular to the retention and storage of data, specimens, or other objects and materials arising from or used to support research. The persons responsible for management are to ensure that the contact information of those persons and groups in charge of enforcing the Standards of Good Scientific Practice and investigating allegations of research misconduct at the research organisation is known and easily retrievable at all times. (4) Persons who supervise research projects, especially projects related to diploma/ master‘s theses or doctoral studies, are to ensure that the researchers are informed of the Standards of Good Scientific Practice; in this context, it is necessary to ensure a research environment that enables junior researchers in particular to adhere to the Standards of Good Scientific Practice. The supervision of research projects within the framework of doctoral studies does not relieve the researchers of the obligation to obtain information regularly on how the re- levant research discipline and the relevant research institution interpret the Standards of Good Scientific Practice. The statements of national or international agencies on the Standards of Good Scientific Practice, e.g. statements issued by the relevant scientific/ scholarly societies, are to be taken into account as an aid in interpreting the Standards. The requirements of multidisciplinary, interdisciplinary and transdisciplinary scientific and scholarly work are to be taken into account in handling the Standards of Good Scientific Practice. (5) If there are no indications that researchers are acting in violation of the Standards of Good Scientific Practice, the supervisor of the research project can rely on the expecta- tion that the research project is being carried out in accordance with the Standards of Good Scientific Practice (principle of trust). 1. Precise recordkeeping and documentation of the research process as well as the results in such a way that ensures that the studies/investigations are reproducible; this includes the collection of primary and original data (or raw material) which is transpa- rent, seamlessly recorded and documented; where they serve as the basis for publica- tions, these data and documents (e.g. laboratory notes) are to be stored on durable, backed-up data media at the research institution where they were generated, with due attention to the retention periods applicable to the specific field of research, wherever necessary for the purpose of ensuring the verifiability of the method selected and the findings generated. 2. In the course of preparing research works as well as grant proposals, the transparent and comprehensible handling of other persons‘ ideas, texts and miscellaneous sour- ces, in particular by observing effective citation rules which prevent misunderstandings. Plagiarism is a violation of the Standards of Good Scientific Practice and is therefore to be avoided (cf. § 3 para. 2 no. 3). 3. Avoidance of the re-publication of texts (or parts of texts) previously published by an author without citing the earlier publication. 4. Strict honesty with regard to the research contributions of other persons, in particu- lar by naming persons who made an independent scientific/scholarly contribution or another major contribution as co-authors in grant proposals or in the publication of research findings, and, where possible, by labelling their contributions; mere technical cooperation in data collection or the provision of funding and infrastructure to enable research does not justify co-authorship. The same applies to the mere proofreading of manuscripts without contributing to their content. 5. Observance of the joint responsibility of co-authors for publications and the exclusion of „honorary authorship“, i.e. authorship which is not in line with the requirements of § 2 para. 1 no. 4. 6. Disclosure of potential conflicts of interest, e.g. in selection procedures or in reviews of research projects and publications. 7. Transparency with regard to the funding of research projects, in particular by naming the persons and/or institutions that support such projects with financial or material contributions, or by disclosing economic interests associated with research projects. (2) In cases where scientists and researchers who work at research institutions in Austria participate in international research projects, those scientists and researchers are still required to adhere to the Standards of Good Scientific Practice applicable in Austria. (1) Research misconduct refers to wilful, conscious or grossly negligent violations of the Standards of Good Scientific Practice (§ 2). Violations are deemed „wilful“ when a re- searcher considers a violation of the Standards of Good Scientific Practice possible and accepts that possibility when conducting research. Violations are deemed „conscious“ when a researcher considers a violation of the Standards of Good Scientific Practice not merely possible, but certain. Violations are deemed „grossly negligent“ in cases where a researcher shows blatant disregard for due diligence in a given research context and therefore fails to recognize that s/he is violating the Standards of Good Scientific Practice to a great extent; for example, this is the case where even the simplest, most obvious considerations are not taken into account and the researcher disregards considerations which should have occurred to any person. Critical statements in scientific/scholarly dis- course („honest differences of opinion“) or errors made in good faith („honest errors“) are not considered to be forms of research misconduct. 1. The fabrication of data, for example the fabrication of research results (measurements, observations, statistics). 2. The falsification of data, for example by manipulating the research process, altering or selectively omitting data which contradict the research proposition, or the misleading interpretation of data with a view to obtaining a desired result. 3. Plagiarism (cf. § 2 para. 1 no. 2), which is defined as the wrongful appropriation of texts, thoughts or ideas from other persons. In particular, it includes the appropriation and use of text passages, theories, hypotheses, insights or data directly, in paraphrased form or in translated form without labelling and citing the source and originator. This also includes the use (including the publication) of others‘ research ideas or plans which come to a researcher‘s attention in a confidential context (e.g. in the course of a peer review or other review procedure). 4. The unjustified refusal to provide access to primary and original data (§ 2 para. 1 no. 1), including information on how such data was obtained, or the disposal of such data before the applicable retention periods have passed (§ 2 para. 1 no. 1). 5. Obstructing the research activities of other scientists/researchers as well as other unfair attempts to damage the scientific/scholarly reputation of another scientist/researcher; in particular, this includes anonymous, non-specific and unjustified allegations of viola- tions of the Standards of Good Scientific Practice. 6. Sabotaging research activities, in particular damaging or destroying experiments, equipment, documents, hardware, software, chemicals or other materials that another scientist/researcher requires to undertake his or her research. 7. Providing inaccurate information in a grant proposal which may place competing scientists/researchers at a disadvantage. 8. Creating disadvantages to the career advancement of junior scientists and researchers who have reported potential research misconduct (whistle-blowers). (1) Research misconduct (§ 3 para. 1 first sentence) can also include involvement in other persons‘ violations of the Standards of Good Scientific Practice, e.g. active invol- vement in the misconduct of others; co-authorship of publications based on falsified data or otherwise generated through violations of the Standards of Good Scientific Practice; or neglect of supervisory obligations. Supervisory obligations (§ 1 para. 3) are neglected in cases where the necessary supervisory measures are not taken, with due attention to the individual responsibility of the researcher and the principle of trust (§ 1 para. 5). (2) Consenting to being named as a co-author of a publication gives rise to joint res- ponsibility for the publication‘s adherence to the Standards of Good Scientific Practice; in this context, § 3 para. 1 is to be observed. Where individual scientists or researchers are named as co-authors of a publication without their consent and where they are unwil- ling to agree to being named as such after the fact, they are expected to raise explicit objections to being named as co-authors to the persons primarily responsible for the publication, to the editorial office of the journal in question, or to the publisher, and to make efforts to ensure that the publication does not appear under their names.